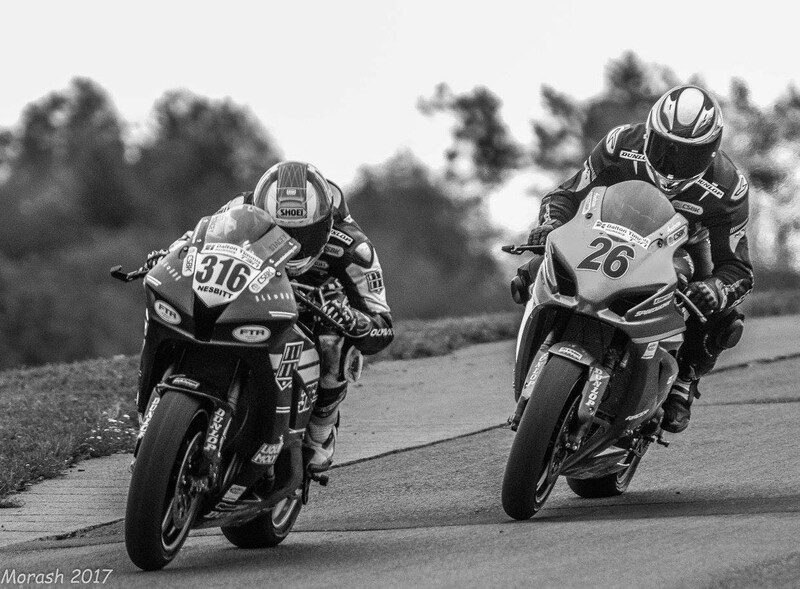 August 19-22, Canadian Tire Motorsport Park, ON was the final round of the 2017 Canadian Superbike Championship. Being another double header, qualifying was again on Friday afternoon. With the Liqui Moly Pro Sport Bike qualifying schedule changed to the last session, Superbike qualifying was used to get more track time. Saturday morning confirmed a mechanical issue that could not be fixed at the track. Knowing there was a limited amount of time left for the engine, it was decided to only try to get through the Pro Sport bike races. Having to skip practice, it was straight into the first race of the weekend. 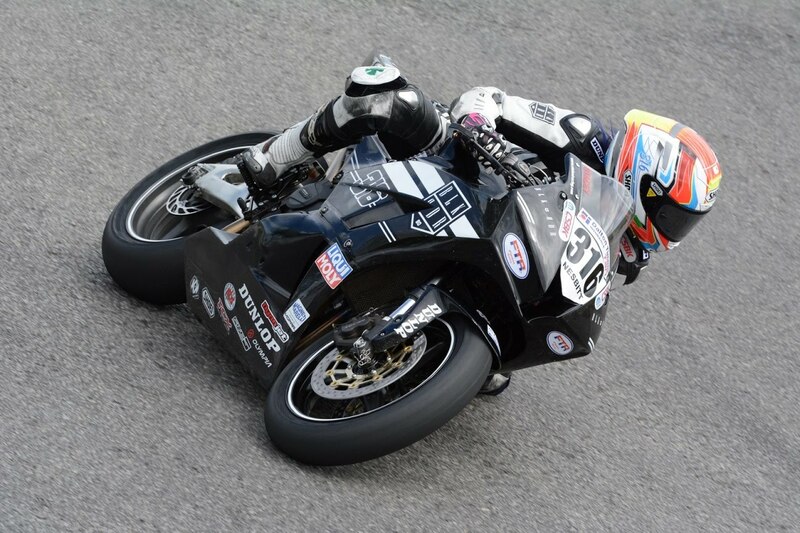 A poor start in Liqui Moly Pro Sport Bike race one resulted in Stacey coming around in 12th on the first lap on her BLK RDR by Motovan/FTR CBR600RR. Improving her time from qualifying, she moved back up into the top ten to eventually finish 8th. “It was a four way, race long battle and it was a good race with the guys. I knew they were right on my tail the whole race and pushing hard” said Stacey. “Messing up my start put me further back than I wanted so I’m focused on getting a better start in race two. The bike was definitely running hotter in the race”. Stacey’s fastest lap in the race put her 9th on the grid for Sunday’s race. After the race, a few suspension changes were made and the team decided to do try four laps in the Sunday morning Superbike warmup to test it. 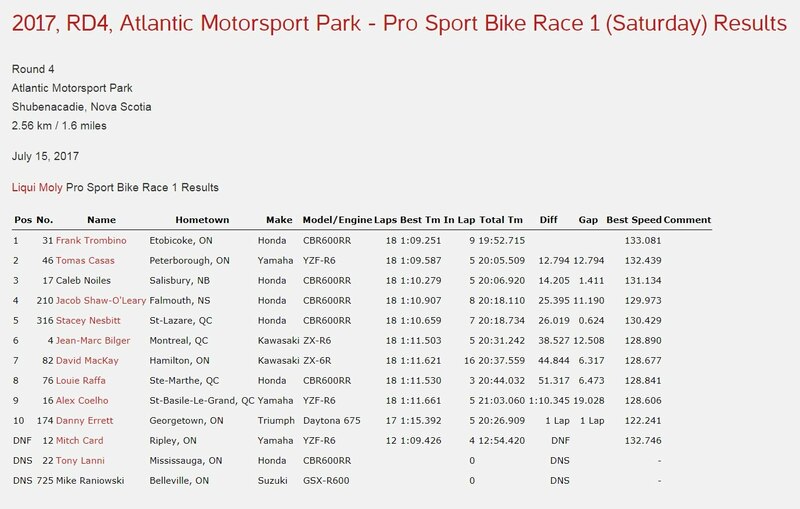 Getting a much better launch off the start in Liqui Moly Pro Sport Bike race two Stacey moved up into 7th place. She managed to catch back up to the group battling for 4th position. In the process she set a number of personal best lap times. With three laps remaining the bike’s temperature was running very high. “I noticed the power off the corners wasn’t the same as it had been. When I checked the temperature on the back straight and it was 114°C! It made me a little bit nervous for the remaining laps but the checkered flag came out just in time. We managed to bring it home in the end” said Stacey. She finished 8th again but this time the gap from 4th to 8th was covered by 3.5 seconds. 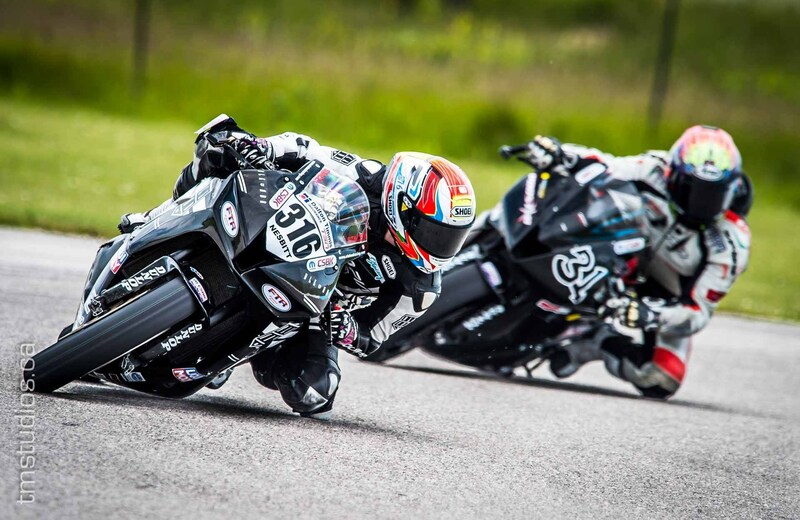 The result saw Stacey move up to 7th place in the final Liqui Moly Pro Sport Bike championship standings. “It was a very difficult start to the season but we kept plugging away and improved each round. I am satisfied with the last two rounds running closer to the front pace and setting personal best lap times in the process”. “I have to say a big thank you to FTR (Pat) for all his hard work before and during the season. To Motovan Corporation for supporting me through their BLK RDR by Motovan program. To Corndog (Jon Cornwell) for setting up the bike, R&M Electrical, my supporters club and product support sponsors. To the CSBK staff, medical staff, volunteer corner workers and photographers. Last but not least to my Mum and Dad. Thank you all for making my 2017 season possible”. 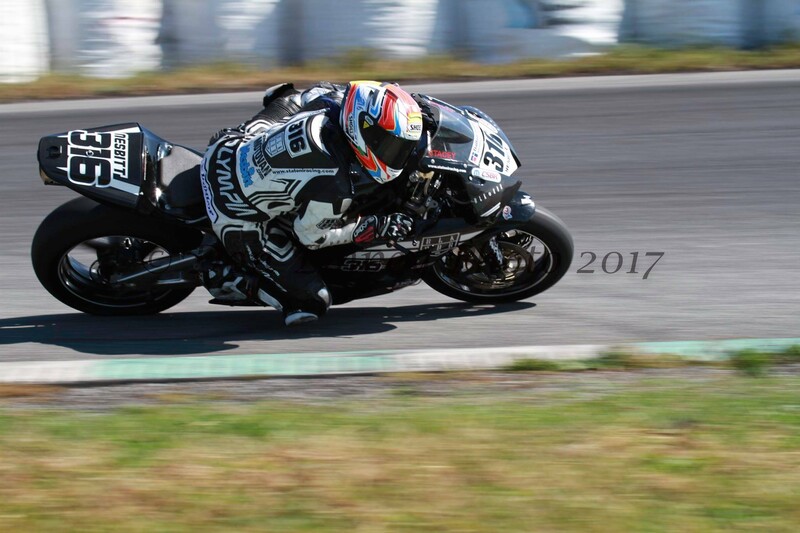 June 23-25, Autodrome St-Eustache, QC was the third round of the 2017 Canadian Superbike Championship. Stacey took advantage of the good weather and did the Thursday test day "Although this is technically my home track, I don't ride here much and this was the first time this year. 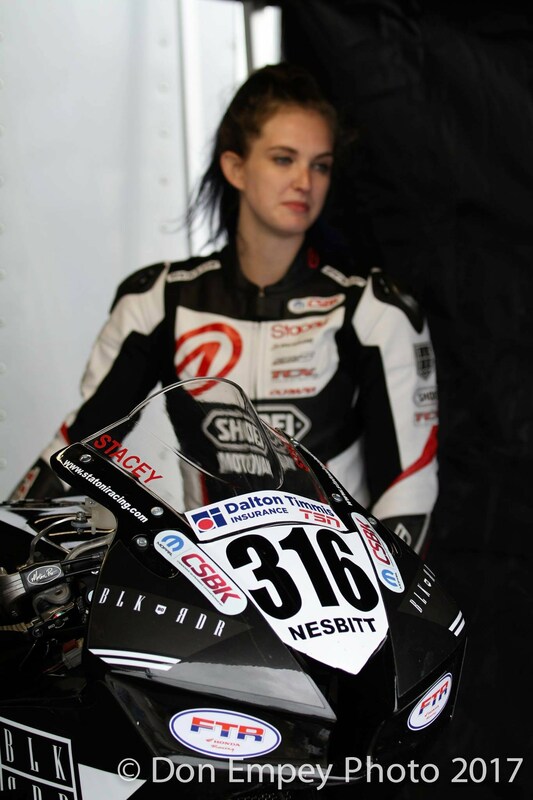 With the mixed weather forecast for the weekend I needed the track time" said Stacey. With the rain early Friday, the crew used the time to make changes to the front and rear suspension on the BLKRDR by Motovan/FTR CBR600RR. The track dried out in the afternoon enough to verify the changes were in the right direction. 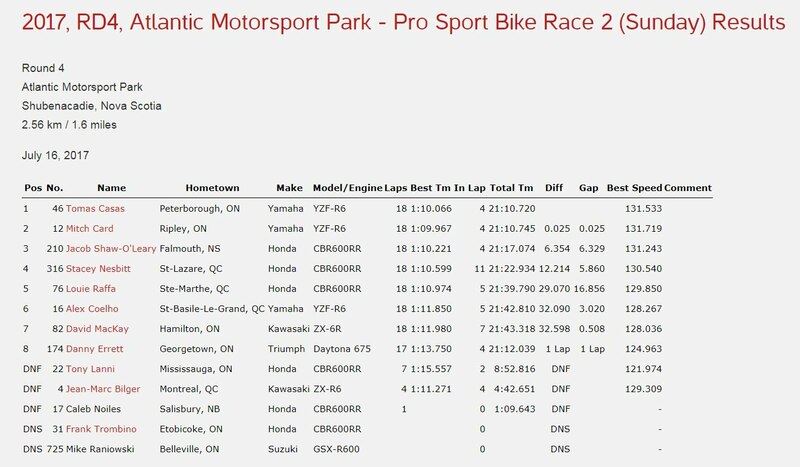 Saturday afternoon and Stacey qualified 11th for the Liqui Moly Pro Sport BikeSport class for what we thought was a third row start. 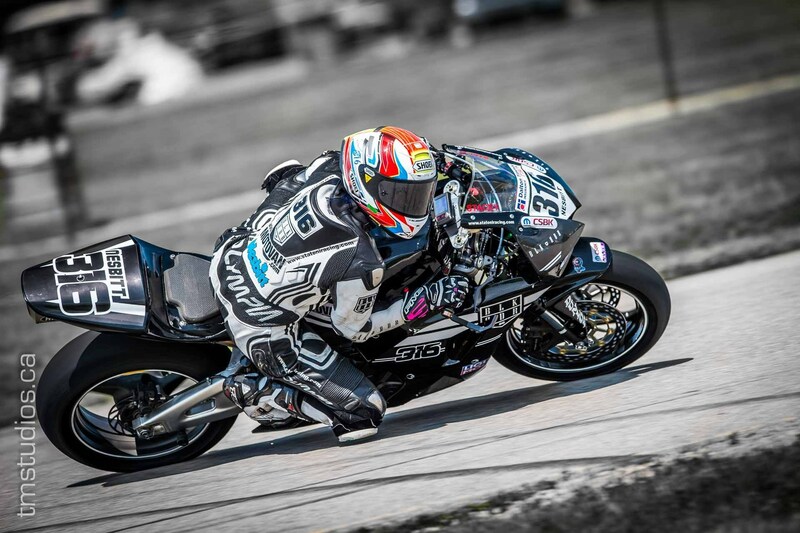 She qualified 19th in Mopar Pro Superbike. Sunday race day was sunny for morning warm up. 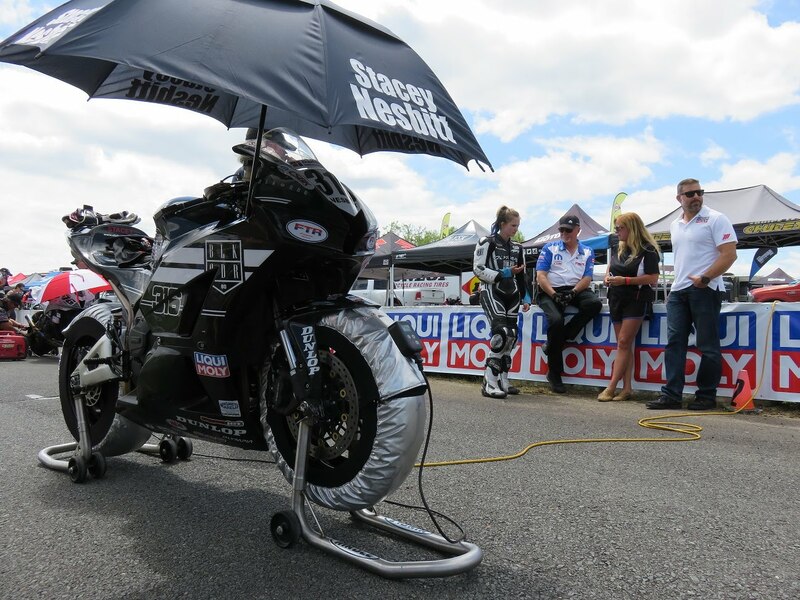 The forecasted weather was threatening for the start of the Liqui Moly Pro Sport BikeSport but it remained dry. It turned out the grid configuration was to be 3-2-3 so Stacey would start from row five. She got an average start and moved into the top ten in what was to be a four way fight for seventh. There were multiple position changes throughout the race. With rain drops starting to fall on the final laps, Stacey made a bold move on the last lap entering the stadium section to retake 8th position. With a defensive line through the last turn she was able to hold on to the finish line. She had improved her lap time by over a second from qualifying and set a personal best in the race. "We made some further changes to the bike this weekend which really helped. I enjoyed the race and was able to push harder. Hopefully we can carry this progress through for the remaining rounds" said Stacey. "I would like to thank Pat and Dad for for improving the bike all weekend. 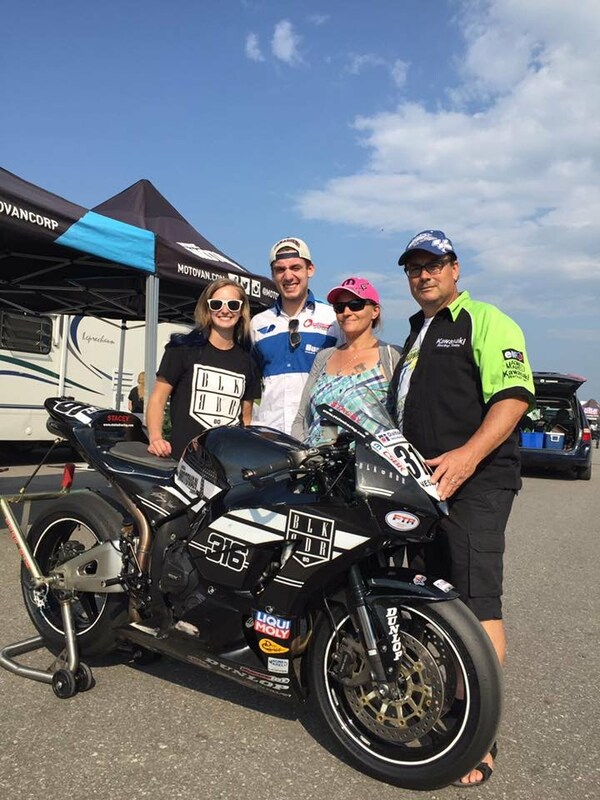 Also to Motovan Inc (BLK RDR program), FTR and sponsors, the corner workers, medical staff, CSBK staff and the fans and supporters in the stands and on social media". 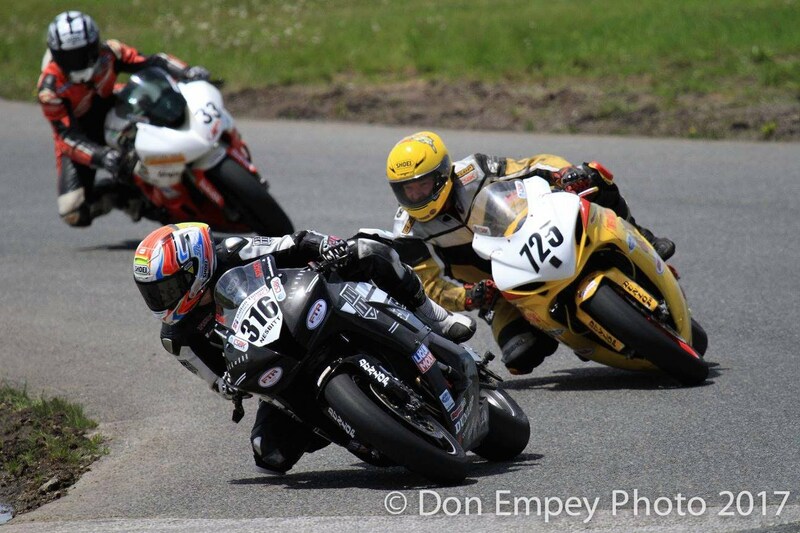 The next round is at Atlantic Motorsport Park, NS, July 14-16. Photo Credit: Colin Fraser - Stacey Nesbitt (316). Thank you to Mike Rixon of R&M Electrical, Burlington, Ontario for your support again in 2017. Please support the companies and people that support the sport. Stacey is happy to announce product support from SBS Brakes USA for 2017. 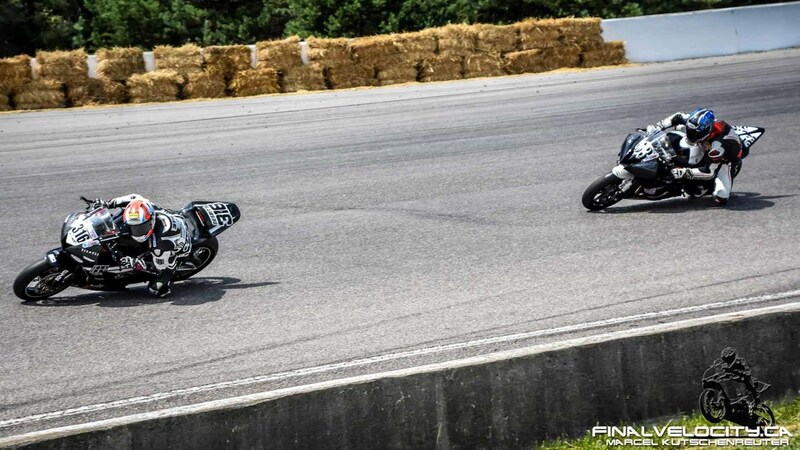 She used the brake pads at CSBK Rd 1 for the first time. She also used the Forsaken Motorsports adjustable triple clamp for the first time. 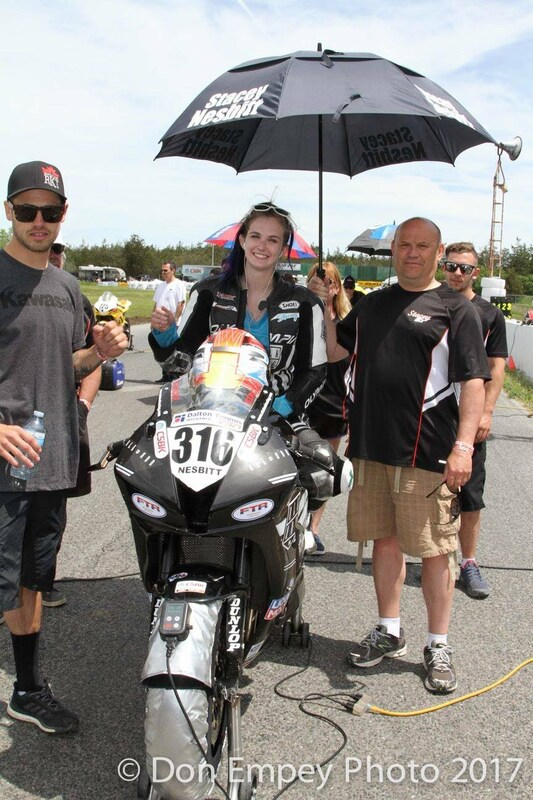 Stacey was happy with both products and will push harder with them at CSBK Rd 2 at Grand Bend June 9-11. The weather had improved on Saturday but Stacey was still struggling for pace. The qualifying goal was the first two rows and that was mission accomplished with 7th spot on the grid for the Liqui Moly Pro Sport BikeSport class. 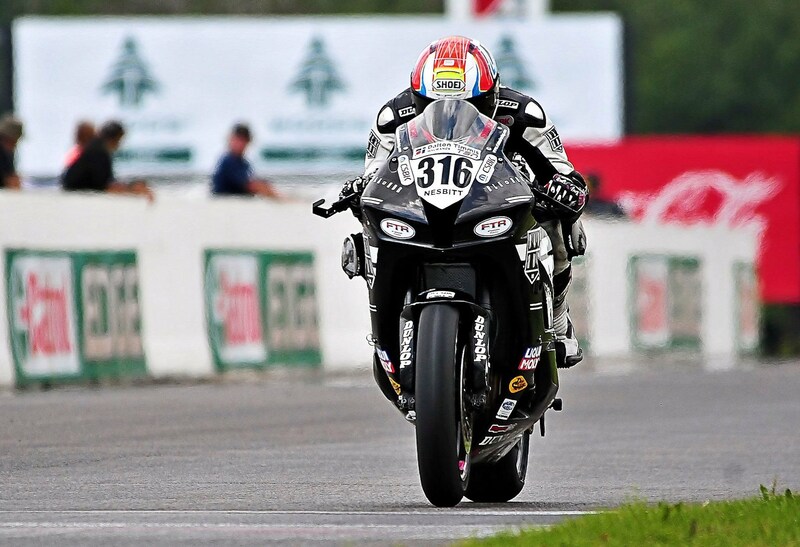 She was not able to improve her times in Mopar Pro Superbike qualifying, unfortunately picking up an injury. Race day warmup did not go to plan and Stacey was forced to sit out the Superbike warmup session to get fit for the afternoon races. 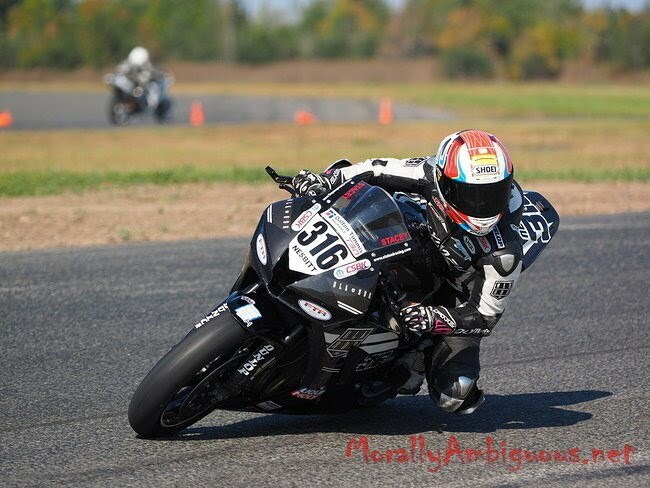 In the Liqui Moly Pro Sport BikeSport race Stacey got a good start and was in 5th place into turn one. She had a few battles and was holding down 8th position for the first half of the race before a rider error saw her take the slip road off the back straight. She rejoined in 11th. Despite some last minute setup changes that did not work out, Stacey was still able to ride around it and improve her lap time from qualifying. She decided to sit out the Mopar Pro Superbike race. “Thank you to Doc Walker for the medical advice. Thanks too to Jon Cornwell. This opening weekend was certainly challenging but we worked hard and didn’t give up. We will take the positives and move forward to the next round at Grand Bend”. There was some further good news to end the day. 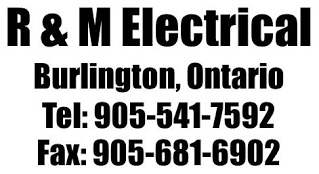 R&M Electrical (Burlington, ON) return as a sponsor this year. Thank you Mike Rixon. Thanks to Honda Canada for providing a set of tires to each of the Honda riders this weekend. The icing on the cake was Autumn and Jaret Whiteside buying us some tires and dropping them off to our pit. “This really put a smile on my face. At the end of the day we are a privateer team. Forensi Tech Racing is supporting us with bike preparation and Motovan through their BLKRDR program. We are grateful for any and all support we receive”. 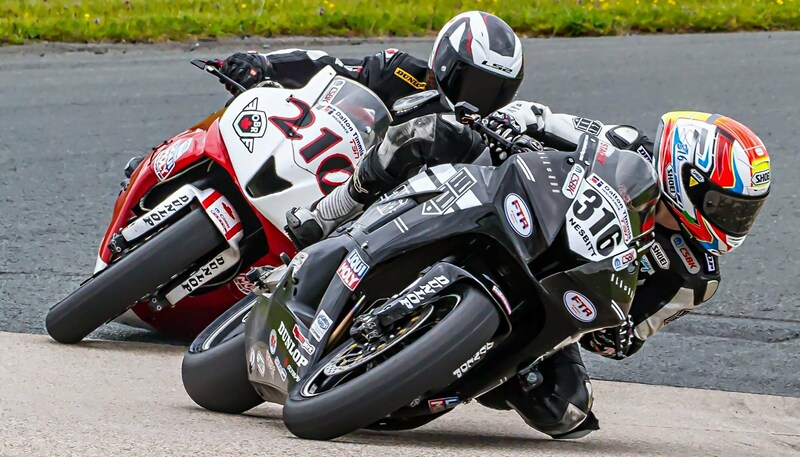 Action from the Mopar Canadian Superbike Championship will again be televised on TSN, Canada’s Sports Leader, in 2017. 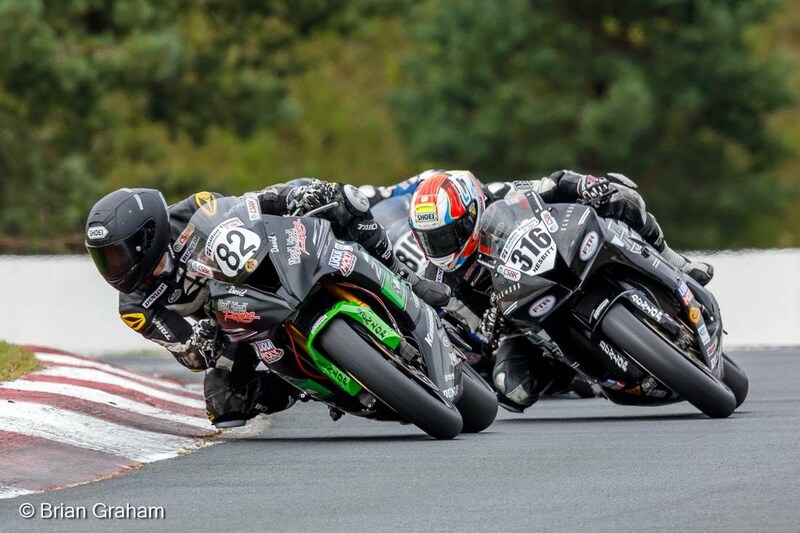 Each of the seven rounds will be shown in a half-hour episode and each episode will consist of the Pro Superbike feature race, once again presented by Dalton Timmis Insurance. The programs will be shown as soon as the weekend following each national round. Sera au stand de Motovan (569) samedi 25 et dimache 26 de temps en temps tout au long de la journée. N'hésitez pas à vous arrêter pour discuter. Will be hanging out at the Motovan booth (569) Saturday 25th and Sunday 26th from time to time throughout the day. Please feel free to stop by for a chat.